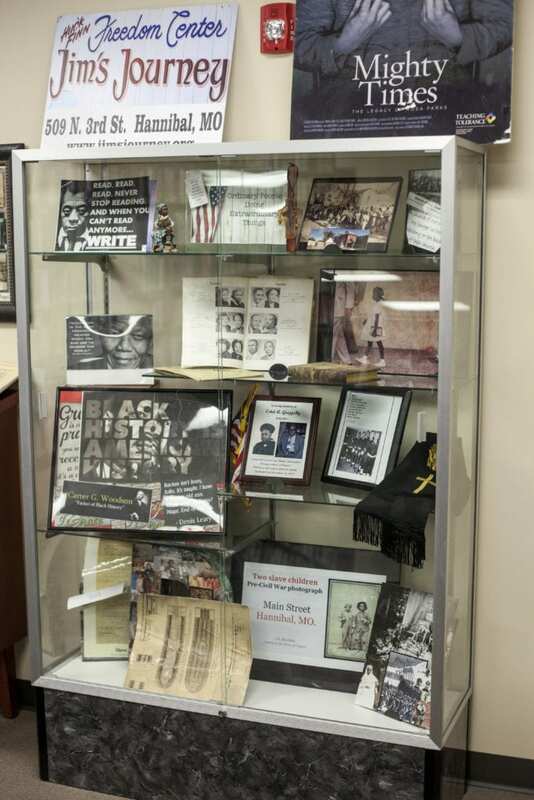 In celebration of Black History Month, HLGU’s Roland Library is proud to have on display various pictures and artifacts regarding African American history. The display, with items on loan from Jim’s Journey: The Huck Finn Freedom Center, will be open for the month of February. This is the fifth year that HLGU and The Huck Finn Freedom Center have collaborated for the February library exhibit. This year’s display features pre-Civil War photos, quotes by famous African Americans such as Rosa Parks, a slave bill of sale, photos of WWII Veterans, the lower deck plan for storage of 300 slaves on a slave ship, an old hymnal, and more. The community is welcome to view the exhibit during the normal operating hours of the Roland Library, Monday-Friday, 7:30 am to midnight, and Saturday, noon to 5 pm. For more information on the exhibit, contact Faye Dant, Executive Director of the Hannibal African American Life and History Project, at 217-617-1507, or via email at fayedant@gmail.com.